Expedition’s ? eet of cruise ships with National Geographic. You can tell a lot about a man by whom his heroes are, whether famous athletes, virtuoso musicians, brave war- riors or movie stars. As we age, we choose our heroes by their moral compass, seeking wisdom, inspiration and truth about our world during our dwindling time on this planet. 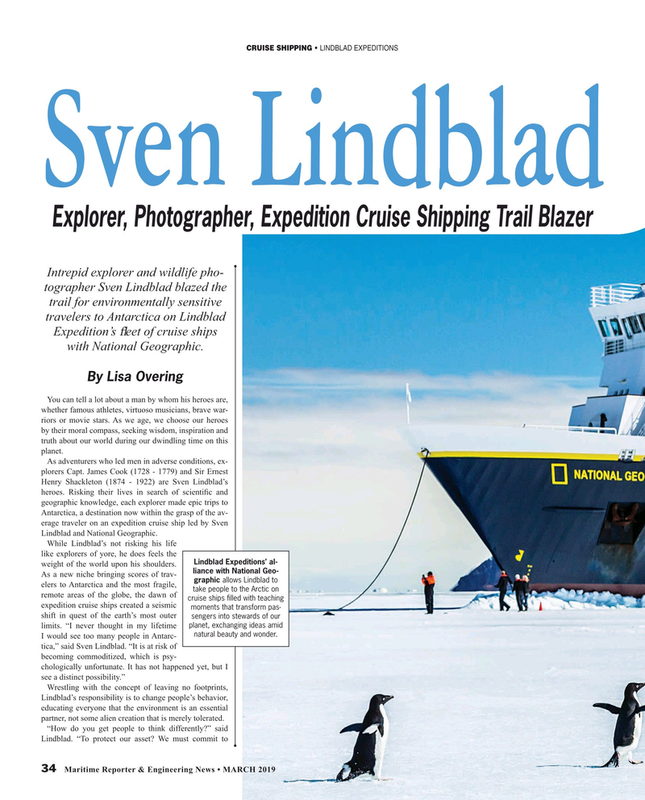 As a new niche bringing scores of trav- graphic allows Lindblad to elers to Antarctica and the most fragile, take people to the Arctic on remote areas of the globe, the dawn of cruise ships ? lled with teaching expedition cruise ships created a seismic moments that transform pas- shift in quest of the earth’s most outer sengers into stewards of our planet, exchanging ideas amid limits. “I never thought in my lifetime natural beauty and wonder. Lindblad’s responsibility is to change people’s behavior, educating everyone that the environment is an essential partner, not some alien creation that is merely tolerated.